On Tuesday 31st October – Halloween - our patients got to dress up in a very special kind of costume as part of an artists’ interactive exhibition. Artist, Lou Gardiner was commissioned to produce a piece of artwork by PUKKA Tea with a theme of ‘womankind’ and a connection to nature. 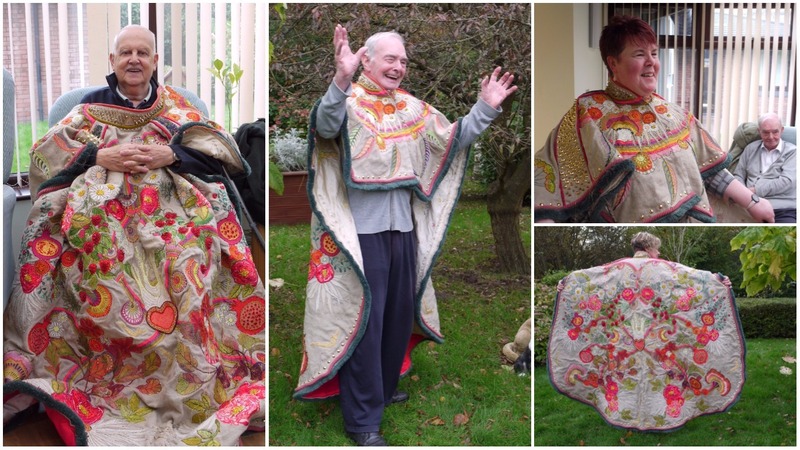 Lou developed a fantastic embroidered cape for the project and has been travelling the UK, visiting various locations to get people to interact with the piece and to share their stories or messages through it. The cape has been worn by more than 60 people around the country so far, including a Nobel Peace Prize Nominee, and has been taken to places such as the Women’s Institute, the Embroiders Guild and an Adult Learning Centre. Lou, who’s sister Shelly works within the Wellbeing and Support Centre at Woodlands, visited our patients with the cape to explain more about it and encourage them to wear it and share how it made them feel. Lou joined one of our Patient Groups in the Well-being and Support Centre and began by explaining what the thought process was behind the cape and how she has developed it. Our Patients enjoyed trying on Lou's creation! The cape has taken over 900 hours to create and the design incorporates lots of different elements from nature that aid women’s reproductive health, including raspberries, roses, roots and cranberries. The patients enjoyed identifying these items and were amazed by the level of detail in the cape. After admiring Lou’s work, our Patients shared their own experiences of when and how they show their own creativity. 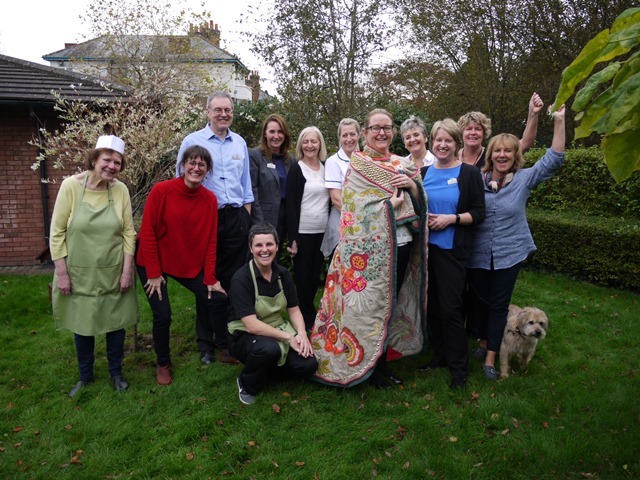 One patient explained how she regularly makes scrapbooks, and when she was first diagnosed with her illness, she knitted each of her friends their own scarf in a specific colour as a gift. She found this process helped to take her mind off her treatment and also allowed her to create something personal for the special people in her life. After sharing their own stories, our Patients and Staff had the opportunity to try on the cape. Many said they felt ‘Empowered’ or ‘Like Royalty’ after trying on the cape which delighted Lou. The cape was unveiled officially on Friday 3rd November at Bath Film Festival. For more information on Lou Gardiner and her work, please visit her website here or her Instagram page here. You can find out more about PUKKA Tea’s Womankind project here.